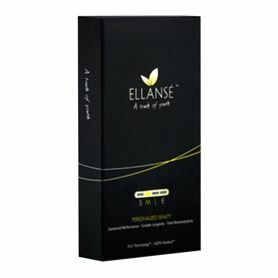 Formulated for deep wrinkles and furrows as well as lip augmentation. Cross-linked hyaluronic acid 20 mg/ml. Regaining beauty with a natural look. Formulated for deep wrinkles and furrows as well as lip augmentation. Regaining beauty with a natural look. Perfectha® is the latest generation of hyaluronic acid filler for natural and long lasting results. 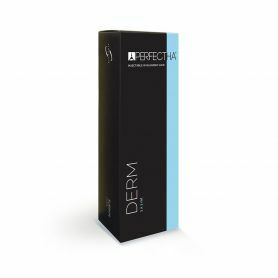 Perfectha® is a hyaluronic acid based dermal filler that restores volume and fullness to the skin to correct moderate to severe facial wrinkles and folds, such as nasolabial folds, cheeks and lip volume.Your skin can be plumped to look beautifully health and your facial volume will be restored. Storage away from frost and light : Between 2°C and 30°C. Perfectha® provides optimal results with low injection volume. Perfectha® is easy to inject due to excellent flow properties. Perfectha® is long lasting with slow and uniform degradation. Perfectha® has a hydrating effect. Perfectha® is the latest-generation of Hyaluronic Acid cross-linked with the E-brid technology to fill wrinkles, augment tissue volume and lip contour. The product line is composed of 5 fillers distinguishable by their particles: The Perfectha® range offers products to perfectly meet your needs.